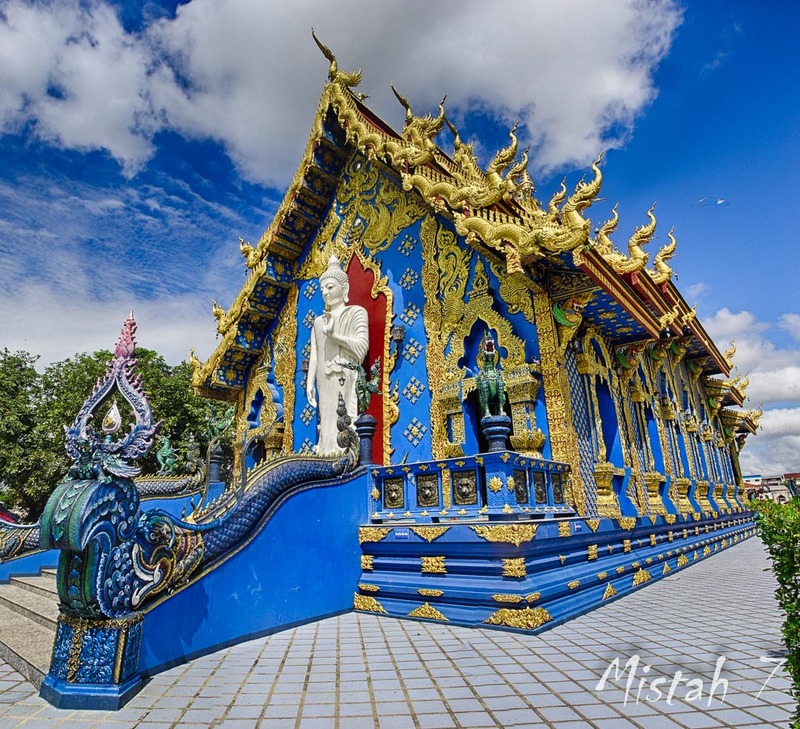 The Blue Temple or in Thai, Wat Rong Suea Ten, is a quite new temple in Chiang Rai. 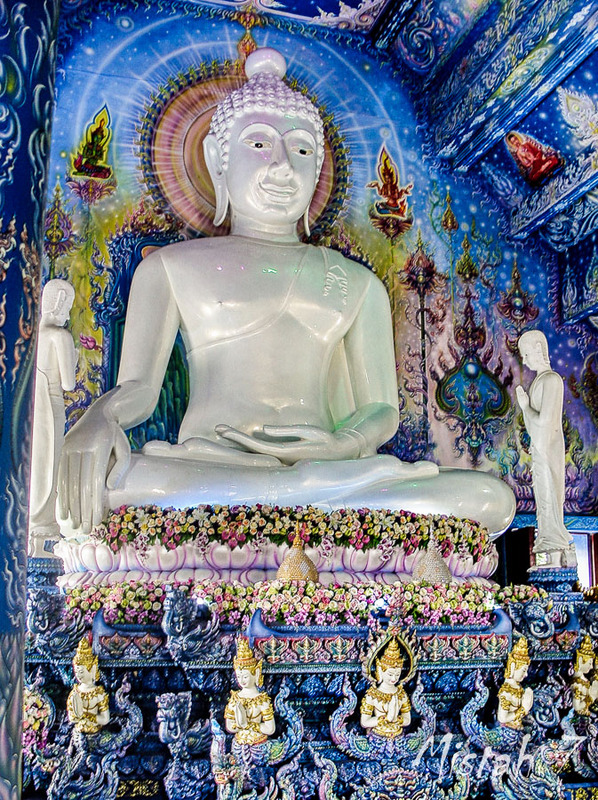 It is designed by Phuttha Kabkaew, a protégé of Chalermchai Kositpipat, the artist that created and designed the White Temple. The region was once a natural habitat that teemed with wildlife, including tigers who “danced” (leapt) over the nearby Mae Kok River. 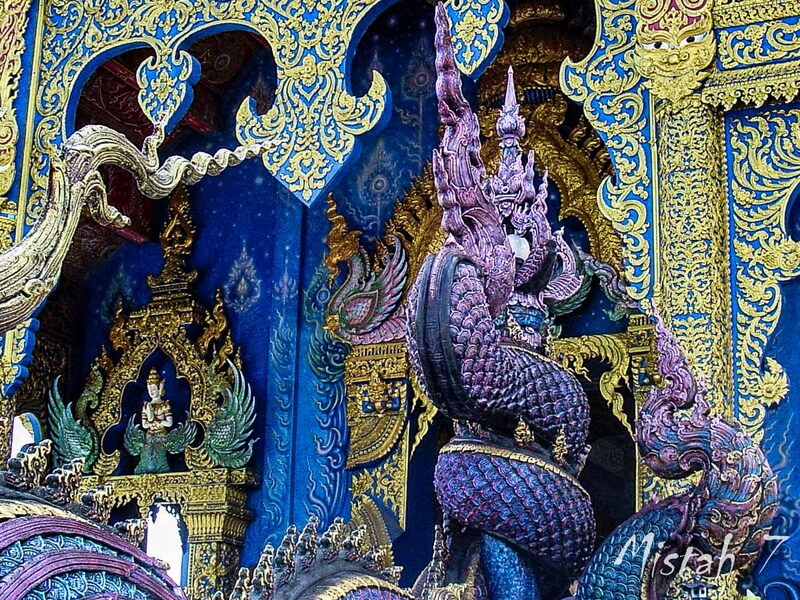 The name translates as House of the Dancing Tiger: rong is the Thai word for house, suea for tiger and ten for dancing. 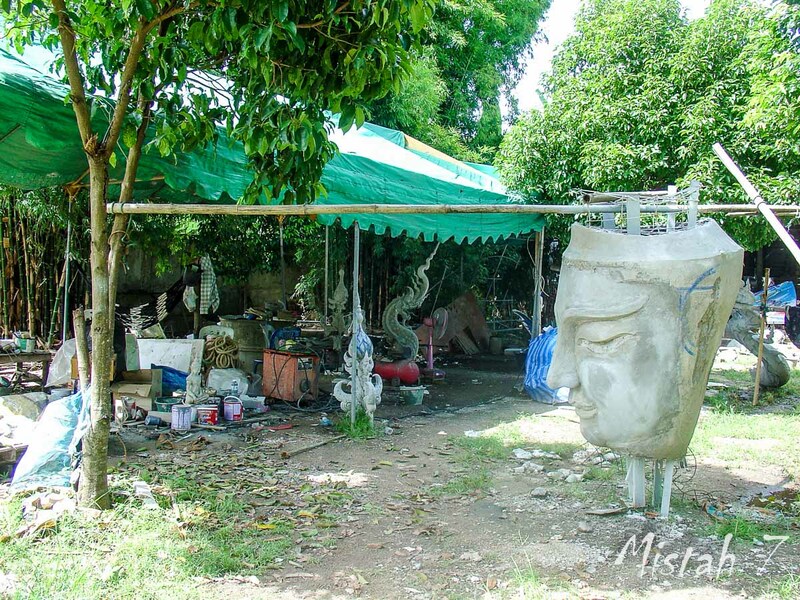 In what may prove either to be a disappointment to some or reassurance to others, there are no real, live tigers at Wat Rong Suea Ten. In 1996, local villagers agreed to rebuild a temple here. The purpose was to establish a devotional center for meditation, prayer and worship, as they did not have a sacred space for merit-making (earning good karma points) in their town. Construction of the viharn monastery began in October 2005 and was completed in January 2016. Other parts of the temple are still under construction today. 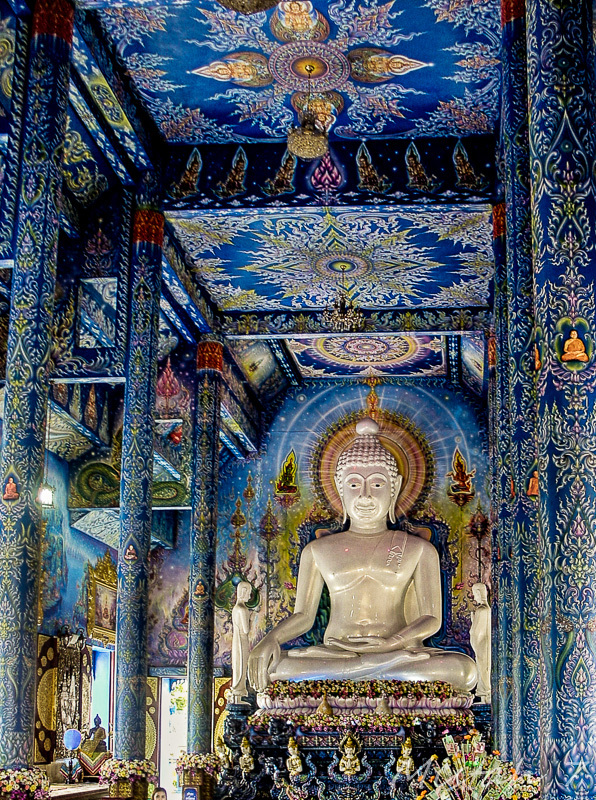 The blue color represent Dharma, the Buddha virtue codes of moral.